The standard reference work in book form! 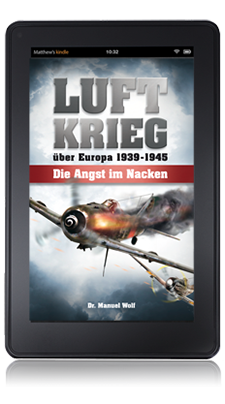 Never before has such a comprehensive, detailed and at the same time exceptionally grippingly written book about aerial warfare over Europe been available. The author himself is now publishing a thoroughly revised, new edition of his book. 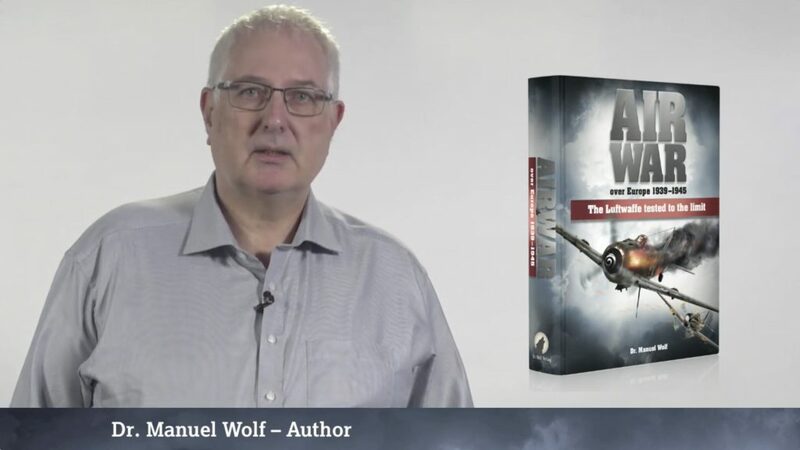 Dr. Manuel Wolf describes the aerial war which was fought over all of Europe’s major theatres of war and depicts the dramatic events from an entirely new perspective. With his flowing, lively, narrative style the author explains each sequence of events in a wholly innovative way, basing his chapters on themes and life histories as well as chronological events. The broader view. The German view. And the background you never were told. The wealth of extraordinarily detailed information helps the reader to comprehend the overall military context, both on the ground and in the air. All the important types of aircraft are compared in a unique, never before published summary of the technical data. Identification markings on the aircraft involved in the incidents are illustrated and the losses on individual battle days listed in a table. The book describes pioneering, technical developments comprehensively and depicts aerial combat in a precise and exciting way. Impressive, colourful images reveal to the reader the drama of the dogfights. From the basic principles of aerial warfare to the investigative clarification of issues controversially discussed for many years, for anyone interested this book is an absolute treasure trove. With his love of detail Dr Wolf explains not only the decisive, major air battles. The ‘minor’ arenas, the emotional conflict of the pilots and the constant fear breathing down their necks are also vividly and palpably depicted. The final section provides an unparalleled summary of technical data covering all the notable types of aircraft belonging to the warring powers in Europe. They are shown in altitude increments of 1,000 m and have never before been published in such a comprehensive way, making this book unique. No reader with an interest in military history can afford to miss this masterpiece with more than 700 photos, aircraft profiles in colour, maps and accurately detailed scenarios. as an eBook for the Kindle. You can find the complete work in an e-Book as a Kindle edition exclusively at Amazon.